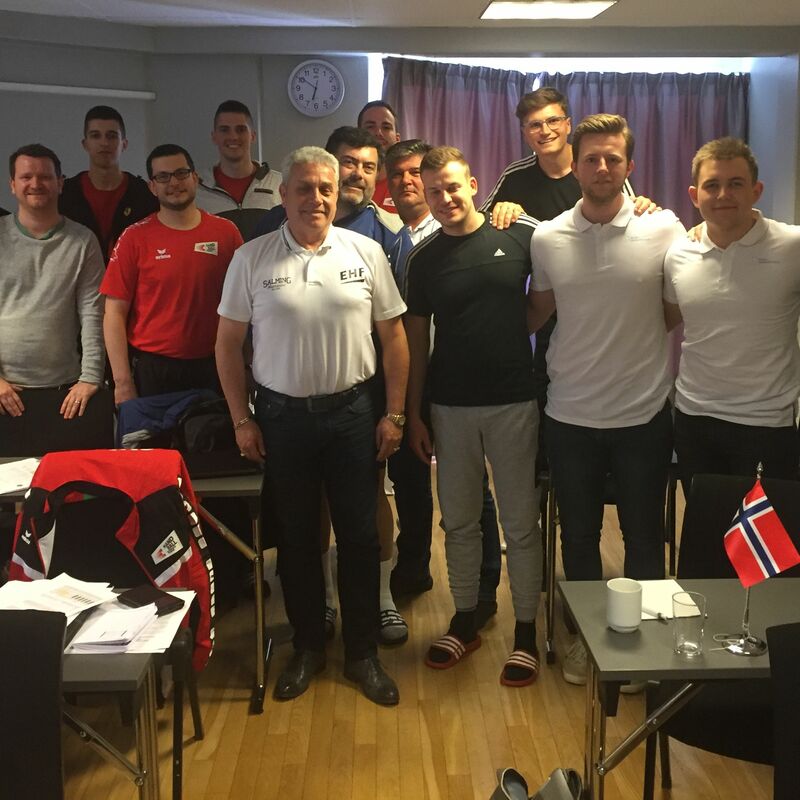 Six referee pairs have obtained the status as EHF referee after they successfully attended a candidate course in the Norwegian city of Drammen at the end of April. The course programme consisted of theoretical sessions, an IHF rules test and physical exercises. The pairs also had to referee matches at the Norwegian under-18 national clubs tournament in Drammen. Lecturers at the course were Dragan Nachevski (chairman of the EHF’s Technical Refereeing Committee, Antonio Marreiros (member of the TRC) and Alexandru Acsinte (coaching lecturer).